Pretty and personal, I create delicate solid gold jewellery, sprinkled with diamonds and sentiment. 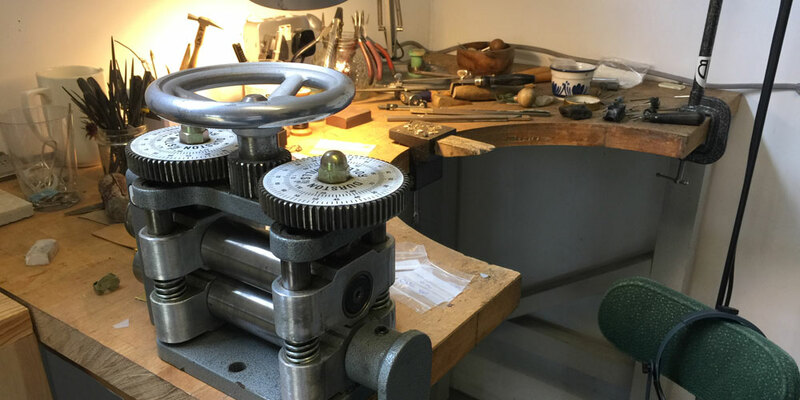 Handmade in my own studio, each piece is crafted to capture the human touch that is so lost in a world of mass production and which makes special jewellery so enchanting. I have been making original personalised jewellery for years and love to create custom pieces that are hand engraved with initials, birth dates and unique personal messages. Many of my customers join me in creating the perfect piece to represent their own special story and often add to the collection as their tale unfolds over the years. I have created a Custom Gallery to showcase some of these pieces to inspire your own collection here. I am passionate about creating beautiful jewellery that can be worn every day and treasured forever. I have a Masters Degree from Central Saint Martin's in Jewellery Design and live in the pretty South of England with my husband, daughter, Whippet Maeby & Italian Greyhound Zoom.